The town of Talakadu, located about 45km from Mysuru, is a curious place. 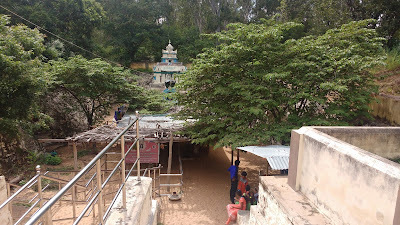 It is located on the left (northern) bank of the Kaveri, surrounded by high mounds of sand. Under these sands, it is believed, lie the remains of over thirty temples that were a site of active worship and pilgrimage up to the 17th century. What had followed then can be best summarized as an ecological disaster. Or as the locals would have it - a curse. A few of these temples have been unearthed (or, unsanded?). 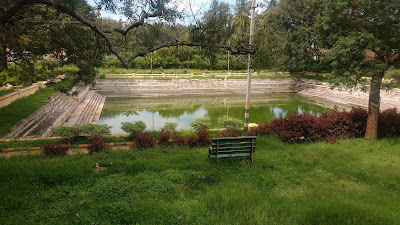 The curse of Talakadu inflicted by Queen Alamelamma of Srirangapatanam on the Wodeyars of Mysore has three aspects which are translated as: "May Talakadu be filled with sand; Malangi (on the other bank) be a whirlpool, Mysore Kings shall not have offsprings". The first and the last aspect have held true over a course of three centuries. While one is unsure about the genetics of the Wodeyar Family, the first aspect - Talakadu under sand - has an ecological explanation. 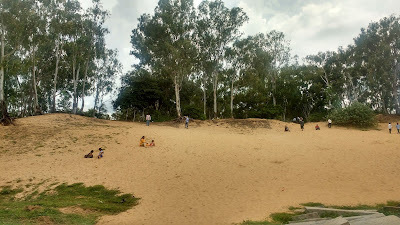 The sand dunes around Talakadu move about 10feet anually in the direction of the town. Owing to this, the settlement has always had to relocate inland every few years. Over a period of time, keeping the sands out of the temples would have proven to be much greater hassle than just a simple abandonment. Even with the presence of the sands, the place does not look desolate. 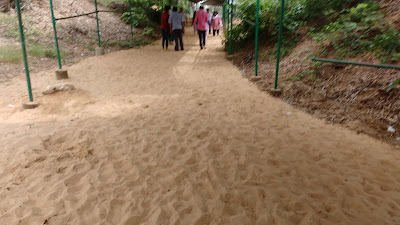 The sands are quite well forested and are overall pleasing. 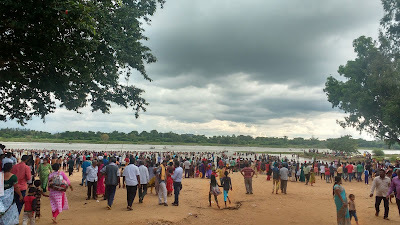 The resultant beach on the Kaveri attracts quite a few tourists every weekend. Five temples have so far been excavated from the sand. 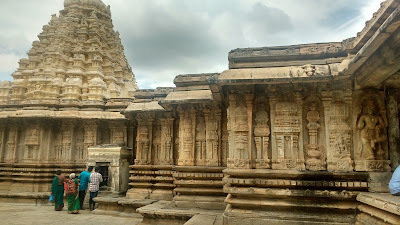 These are: Keertinarayana Temple, Vaidyesvara Temple, Veerbhadra Temple, Pataleshwara Temple and the Maraleshwara Temple. 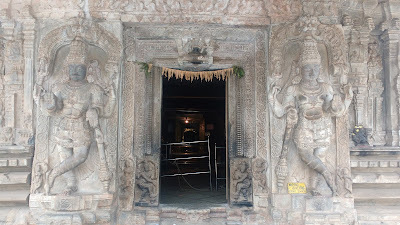 Of these, the Keertinarayana Temple is the largest while the Vaidyesvara Temple is the most artistic. 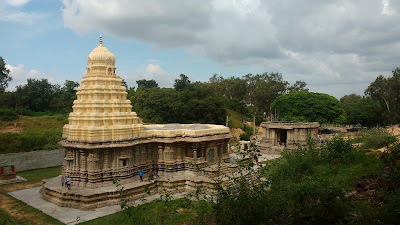 The Pataleshwara and Maraleshwara Temples are located away from the formers and are approached on an elevated path over the sand dunes. 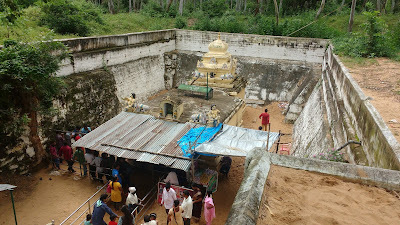 The temples themselves are below the present ground level. The best way to approach Talakadu is from Mysore. Getting a direct transport may be difficult though. The road after Narasipura follows either banks of the Kaveri and is a treat. Talakadu is small enough to get around on foot. 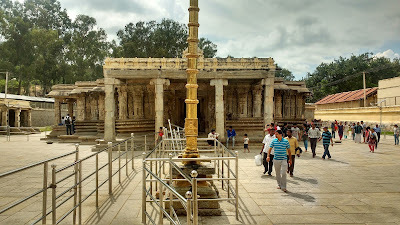 There is no other way to access the Pataleshwara and Maraleshwara Temples.